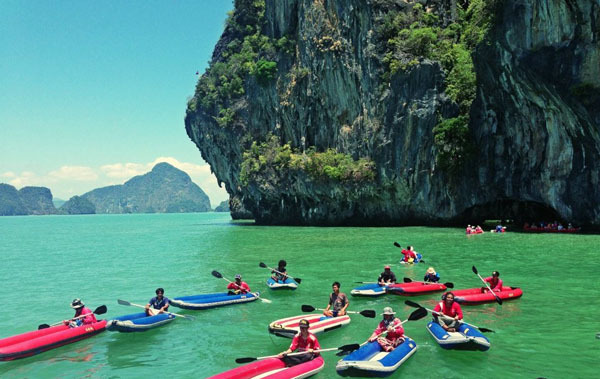 The sea mountains of Phang-Nga are so dramatic that they strike all who venture here. 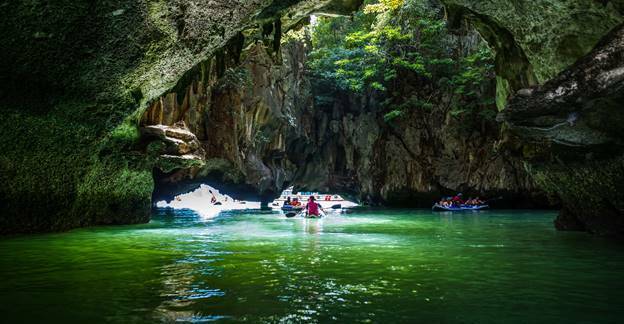 If you are nature lover and want to see an unaltered landscape, you won’t be disappointed. 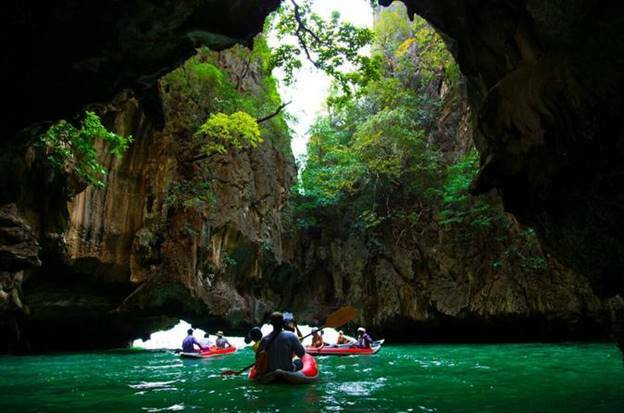 So it can be completely appreciated we aim to get you close as possible to nature, for example during the canoe trips you have to squeeze through the sea caves to get to the inner lagoons. 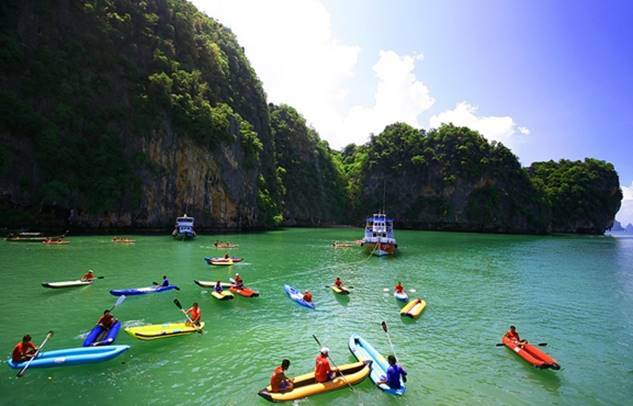 With the 5 in 1 tour you will also get the chance to visit Panyee Village to see a Muslim fishing village. Who have built their houses on stilts in the water. 07.30-08.00 am Pick up from your hotel and transfer to Ao Por Pier. 09:30 am Arrive at Ao Por Pier with complimentary coffee,tea and dessert service. 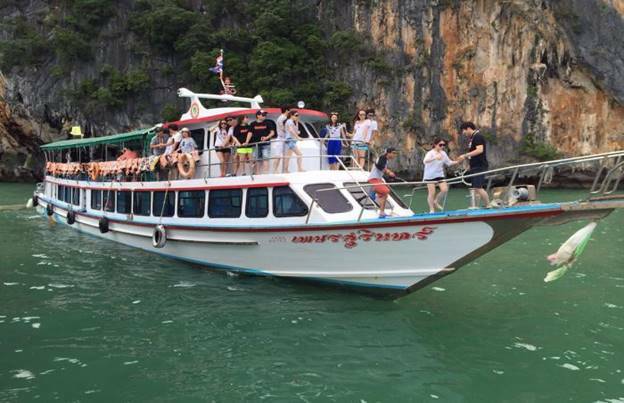 09.45 am Depart from Ao Por Pier to Phang Nga Bay by luxury boat. 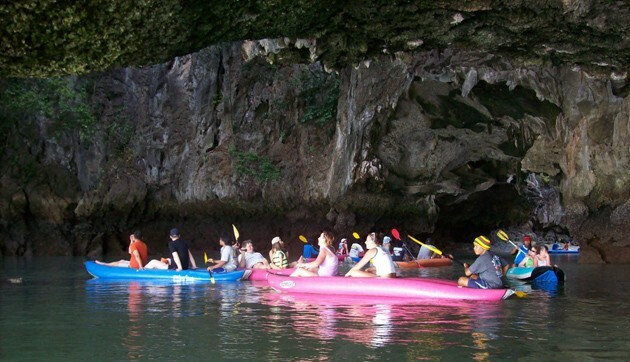 10.30 am Arrive at Panak Island and enjoy canoeing in “Bat Cave” or “Mangrove cave”. 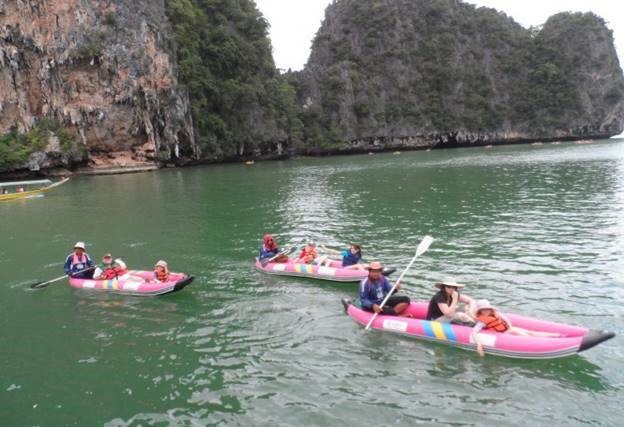 11.30 am Depart from Panak Island to Hong Island and enjoy canoeing. 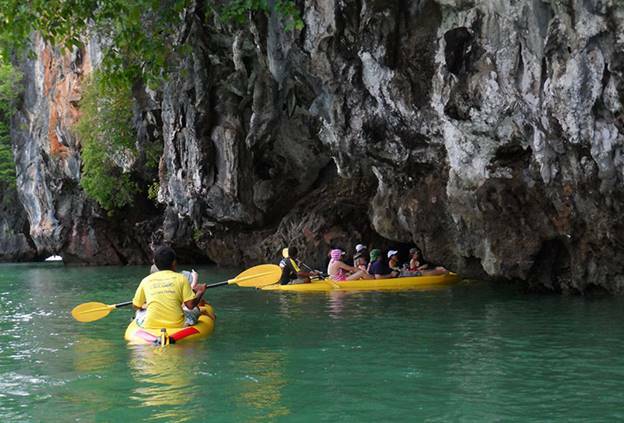 Our guides will paddle you around to explore hidden caves and lagoons. 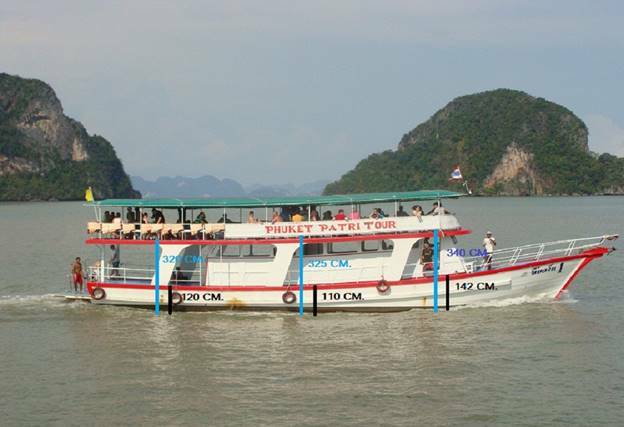 12.30 pm Have a great buffet lunch on board. 01.30 pm Visit at Panyee Island”Muslim Fishing Village”by long-tail boat,see the way of life and buy some souvenirs. 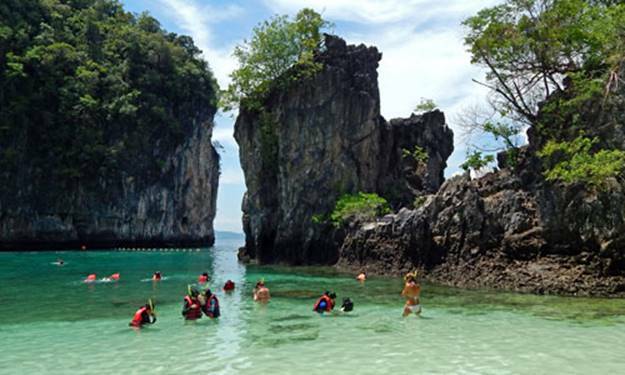 02.15 pm Depart from Panyee Island to Jame Bond Island (Tapu Island) to discover the famous movie location. 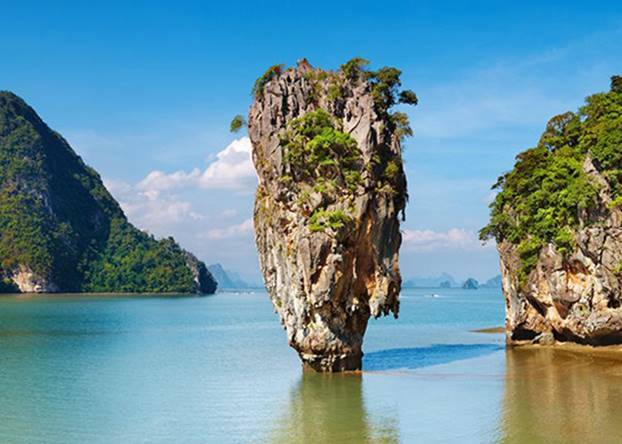 Where”The Man with the golden Gun”was filmed and Khao Phing Kan.
02.45 pm Depart from James Bond Island to location there you will enjoy Swimming and relaxing. 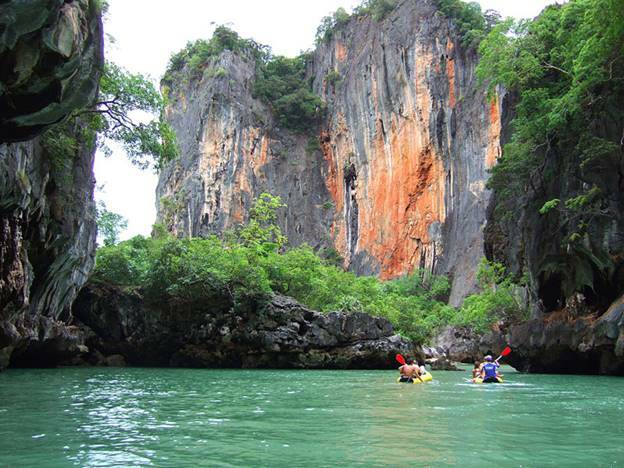 03.45 pm Depart from swimming and relaxing location by luxury boat. 04.00 pm Arrive at Ao Por Pier and transfer to your hotel.